Your dissertation can account for up to 20% of your degree marks which makes it critical you do well. If English is your second language, you are running out of time, or just simply overwhelmed then let our talented writers help you! We are a genuine and affordable provider of 1st Class & 2:1 essays - helping you establish a competitive edge in tomorrows world. Are you struggling to write your undergraduate dissertation proposal? We offer a dissertation proposal writing services that is second to none. Your dissertation proposal is a careful description of what your dissertation will be about and how you tackle the work involved to completion. It is one of the trickiest research projects of your academic career and is the starting point of your dissertation. It will challenge you to think about what you will be doing, how you will be doing it and why. Your dissertation can be the difference to the success of your degree program and how dissertation proposal writing service can meet the challenges you face. Whether English is not your first language, you are struggling to write at a higher academic standard or you simply do not know where to begin we can help. 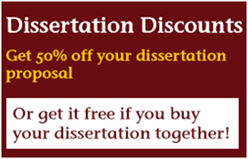 Our dissertation proposal writers have vast experience writing proposals and dissertations are on hand to help you. Does the subject and suggested outline meet the course requirements? It is a feasible or practical subject to embark on? Have you identified key issues or questions that are worth exploring? Have you selected appropriate methods for gathering and analysing data? Do the expected outcomes relate to the overall aims of the project? A fully original, free dissertation proposal with all the components normally expected, including the title page, introduction, rationale, aims and objectives, methodology, literature review, potential research limitations, conclusions and bibliography. An expert researcher and writer who specialises in your subject area offering years of experience in academia as well as real life. A wide range of options ranging from the standard of the work, word count and delivery time that help meet your needs and budget. 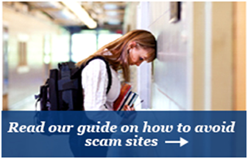 Your dissertation proposal will be reviewed by our quality assurance team and scanned by our in house plagiarism software to ensure your work is plagiarism free. Your work will be delivered as an attachment before but certainly no later than 11:59pm on your chosen deadline. 16 industry leading guarantees, including free 7 day alterations to ensure 100% customer satisfaction. When ordering our dissertation proposal writing service, you can expect a tailored solution that matches your exact requirements from our highly regarded experts and our guarantees will ensure 100% satisfaction. Even if you do not have an approved dissertation topic, our dedicated researchers can propose several topics for you to choose from. 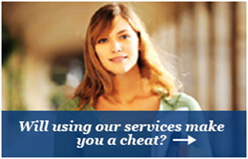 Related: Check out the services we offer!